Here's how to go rogue from the registry. If you’ve ever been to a baby shower, you’ve heard the cardinal rule: Always stick to the gift registry. But today, I’m giving you permission to go off-registry, because there are quite a few items that new parents desperately need for themselves, but don’t know they need until they’re in the throes of it. After many years, and many baby showers, I’ve heard a lot of stories from friends about the things they wish they’d known before making their registry, like only requesting gifts for their baby, and nothing for themselves. So, I’ve developed a “new parent starter pack” that I gift to friends when they’re expecting. And it goes over better than any adorable onesie or burp cloth. These items allow new parents to achieve the three things they want most: being clean, pampered, and fed. If you want to be a baby shower hero, assemble a new parent starter pack of your own with the items below. I promise they’ll thank you for going off-registry. 1. A package of disposable face wipes that achieve basically the same thing as washing with soap, water, or towels. New parents want to feel clean, just like the rest of us — probably even more so. They may not have time for 10-step skincare regimens anymore, but they can totally ace one-step with these face wipes that clean, exfoliate, soothe, and hydrate. Bonus: They're individually wrapped, meaning new parents can drop a few in every diaper bag. Get a pack of 20 from Amazon for $24. 2. A bottle of dry shampoo for days when there isn't time to take a full shower, which is most days for new parents. You can give a new parent a lot of things to make their life easier, but one thing you can't give them is a shower. You can, however, give them the next best thing: shampoo in a bottle. 3. A supply of ear plugs for those middle-of-the-night moments when one partner is tending to the baby and the other is trying to catch up on sleep. Babies cry. A lot. In the beginning, it's one of their specialties, right up there with eating and sleeping. During a particularly loud "cry it out" session, ear plugs can help new parents find a few peaceful minutes and regain a sense of calm. Get some from Amazon for $8.07. 4. A set of paraben-free sheet masks made with high-quality ingredients that allow new parents to pamper themselves for 20 minutes at a time. Sheet masks aren't the answer to self-care, but they are pretty darn relaxing. This set addresses a variety of skin concerns, including sebum control and peeling, firming and radiating, hydrating and moisturizing, clearing and purifying, calming and soothing, nutrition and protection, and brightening and soothing. Get some from Amazon for $12.62. 5. A tub of cooling eye patches that give the illusion of a good night's sleep. You'd never say it to their face, but most new parents look, well, exhausted. These soothing eye patches are super easy to wear while nursing, changing diapers, or even napping. Even if they're not sleeping a lot, they'll still look well rested. Get them from Amazon for $9.81. 6. A heated foot bath with massage rollers, vibration, and bubbles that will relieve tired, achy feet. This thing heats up to 122 degrees in just minutes. It's the Corvette of at-home foot baths. If new parents are in need of some R&R but aren't ready to leave the house for a spa treatment, this fully-loaded foot bath will do the trick. Can't you just picture them rocking the baby to sleep, singing "Twinkle, Twinkle, Little Star," calf-deep in this chic bucket? 7. A pair of cozy slippers that can pass as street shoes upon first glance. Like, these definitely ARE slippers, but they don't look as much like slippers as some slippers do. New parents could definitely get away with wearing them to the grocery store. You've heard that new parents live in yoga pants. Well, their feet deserve the yoga pants of shoes. Get them on Amazon from $14.99. 8. A reusable water bottle with a straw, because it's hard enough to remember to drink water as it is, let alone once a newborn is in the mix. New parents shouldn't forget to drink water — especially moms who are breastfeeding and need to stay extra hydrated. 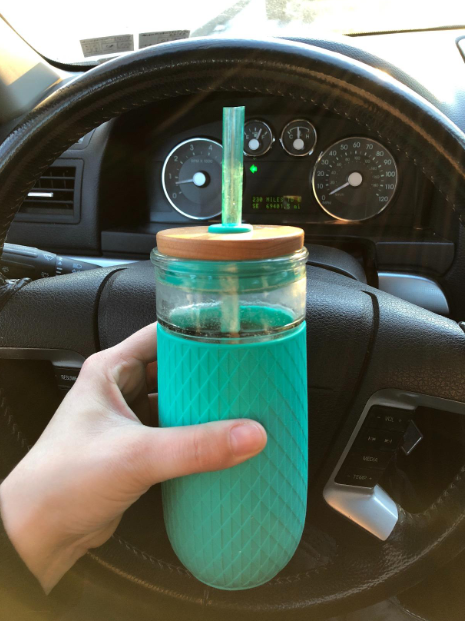 But it can be easy to forget, so a reusable water bottle that's all their own will make it fun and easy to down those liters. 9. A Roomba, aka the gift of a constantly clean floor. You might be worried about giving a gift that says, "You need help cleaning your dirty house!" But don't worry. A Roomba will be much appreciated. It is on the pricier side, so get your friendship group together and go in on it together. Get it on Amazon for $247.99. 10. A set of rechargeable batteries, complete with a charger, to keep toys and gadgets running 'round the clock. There are a lot of surprising things about parenthood. One of the biggest? How many batteries babies burn through. New parents will go through more batteries than they ever expected, so it's best to consider an eco-friendly option. Get a set, including a charger, on Amazon for $29.98. 11. And a tiny flashlight (or two) so new parents can maneuver 3 a.m. feedings without causing a stir. Where are the wipes? Where is the diaper cream? Where is the baby's ambient sounds CD? Where are the fully juiced rechargeable batteries? Sometimes, new parents need to find answers to these questions without turning all the lights on. 12. A lactation massager that will help parents with clogged milk ducts, which are super common. While breastfeeding, women can experience engorgement, plugged ducts, and breast tenderness. And it can be extremely painful. Fortunately, this little device can help. Think of it as giving the gift of not having to call a lactation consultant. Get one on Amazon for $39.95. 13. 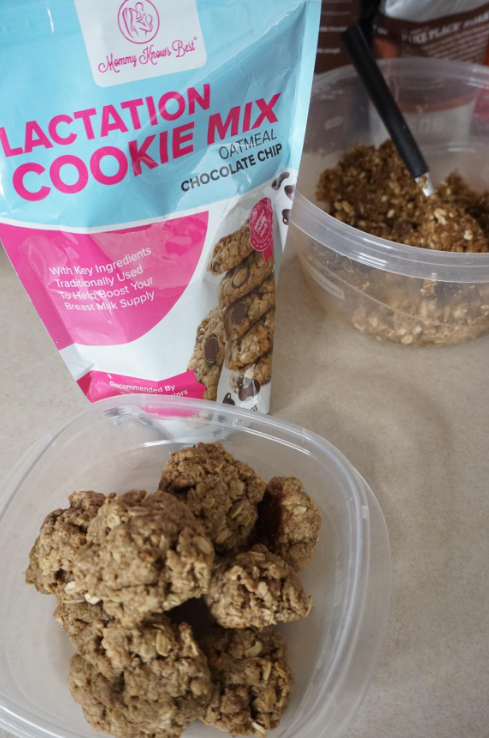 A package of lactation cookie mix that's made with blessed thistle herb, which helps boost breast milk quicker. This one comes recommended by lactation consultants, so you know it'll get the job done. 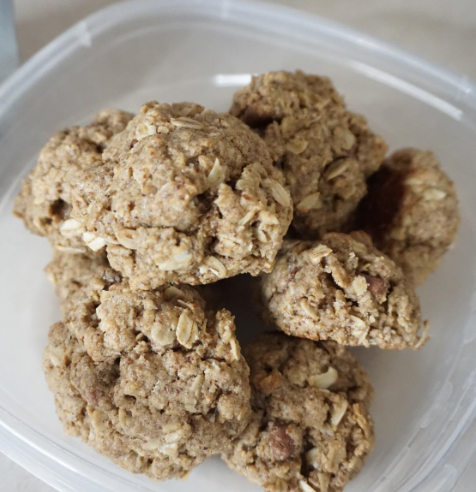 Breastfeeding moms need to consume extra calories every day, so why not make them oatmeal chocolate chip cookies? Better yet, why not make them oatmeal chocolate chip cookies that improve lactation? That blessed thistle herb really does the trick. Take the gift to the next level by baking the cookies yourself before gifting them. It'll be much appreciated. 14. A Seamless gift card, because a hot meal is always appreciated, even if you aren't the one who prepares it. Hands down one of the most helpful things you can do for a new parent is feed them. If you can't swing by to drop off a home-cooked meal, an e-gift card for delivery is just as nice. Send one via Seamless in whatever denomination you choose. 15. And a whole lot of snack packs that can easily be eaten with one hand. Question: What's a new parent's favorite snack? Answer: Anything they can eat with one hand. Whether it's in between diaper changes or while they're nursing, new parents want something yummy they can grab and eat quickly and easily—preferably something that doesn't make them feel totally bad about themselves. Get a box of 36 on Amazon for $11.38.